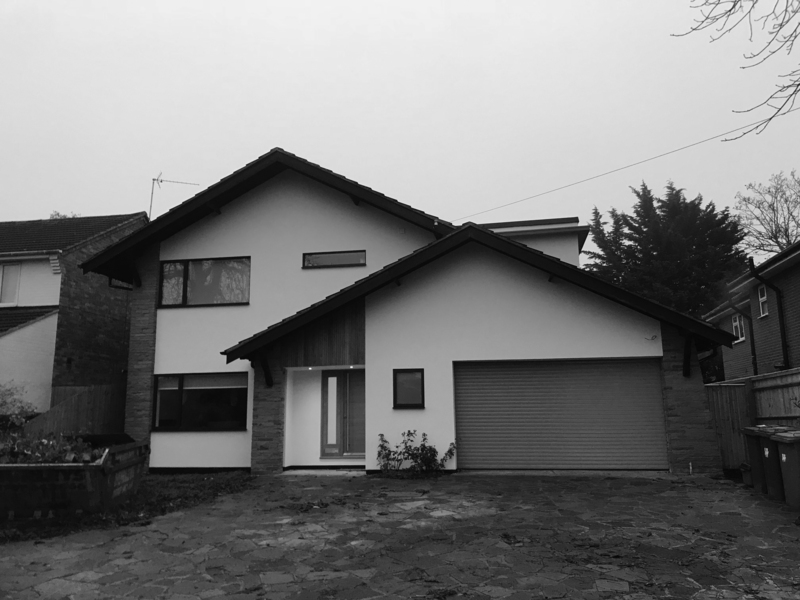 a detached family house built in the 1960’s with a rather alpine garden is to be completely refurbished & extended whilst adding a further bedroom to the mix. the dated front will be replaced by modern features & furniture, the typical roof extension frames the building whilst giving traditional living space & dining. the project nears completion in the next coming weeks.